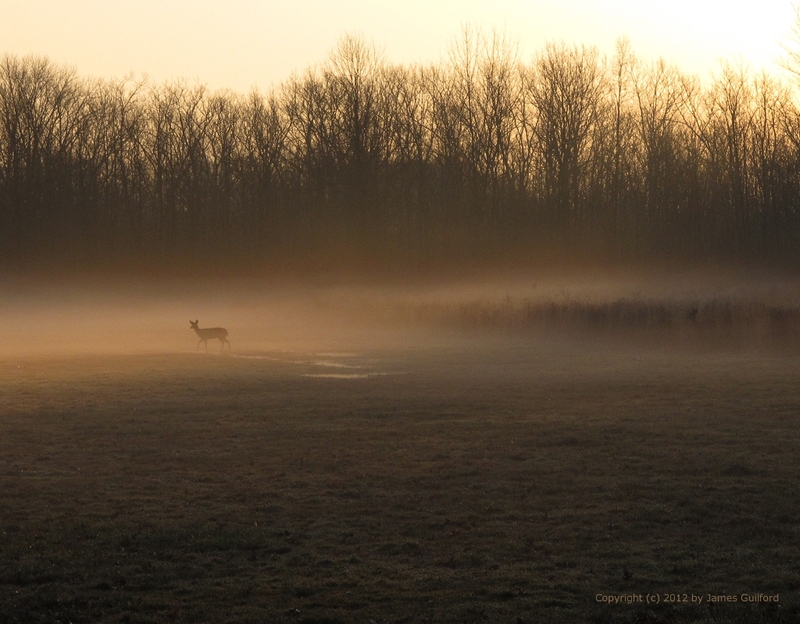 Deer move through morning ground fog. While I generally don’t relish dragging myself out of bed early only to head off to work, some mornings are better than others. Recent changes in the weather made for beautiful scenes along my commuting routes yesterday and today. Golden sunlight filled dew-drenched grasses and weeds with diamonds. Ground fog lent a sense of soft mystery to this dawning day. And deer arrived with the morning. What a wonderful and quiet picture!